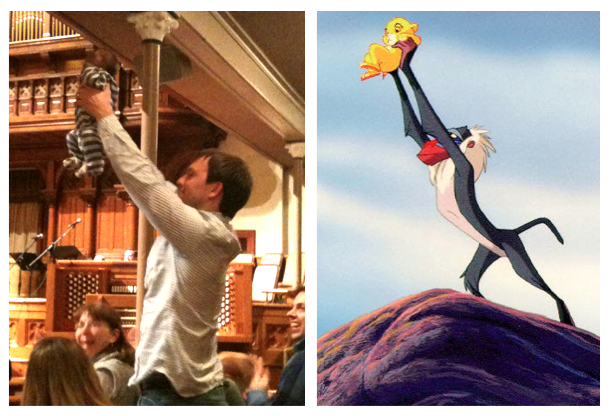 Our church has an informal way of introducing new additions to the congregation. After announcements, the new parents "hoist" their little ones for all to see. We love the idea because parents get to proudly display their new little ones and everyone else gets a peek at a precious little baby. In anticipation of Behr's arrival, Mark began contemplated the hoist. After much debate, he decided to go "Lion King Style." Last night we hoisted Behr. What do you think? Do Mark and Behr look like Simba and Rafiki?